Foothill Technology High School student collecting water sample at Weymouth Lane on Pierpont. About: The Blue Water Task Force (BWTF) is the Surfrider Foundation’s volunteer-run, water testing, education and advocacy program. Our chapters use this program to alert citizens and officials in their communities about water quality problems and to work toward solutions. The BWTF has demonstrated success by identifying problems with beach and coastal water pollution, raising public awareness of these incidents and working collaboratively with local stakeholders to find and implement pollution solutions. Foothill Technology High School student documenting water sample attributes. 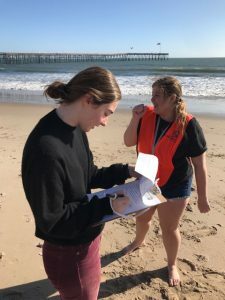 The BWTF has also precipitated the establishment of state and local government water quality monitoring programs in many communities and continues to fill in data gaps, improving thepublic’s knowledge of the safety of their beach water. BWTF water testing programs measure bacteria levels at both marine and freshwater beaches and compare them to federal water quality standards established by the EPA to protect public health in recreational waters. Our Program: In February 2018, our chapter re-launched (see Chapter History below) its BWTF in collaboration with Foothill Technology High School. Our BWTF is focused on supplementing the testing that is conducted by the County of Ventura as a part of its Ocean Water Quality Testing Program. Currently, the county-led program tests less samples in the winter than in the summer; our program aims to fill the gap and serve as the first response to local water quality threats in our community. Specifically, we are focused on taking samples from 5 popular surf spots that are not tested by the County during winter months. While there may be fewer beachgoers overall in the winter months, there are more surfers in the water due to winter storm swells that are being exposed to pollution brought to the beach by stormwater and urban runoff. 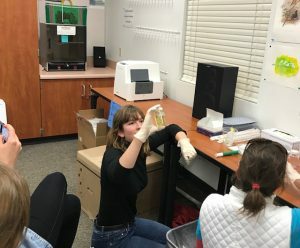 Foothill Technology High School student processing water sample in the lab. CLICK HERE for the latest water quality testing results from Surfrider’s Blue Water Task Force and CLICK HERE for the latest water quality testing results from the County of Ventura Ocean Water Quality Testing Program. How you can help: Thanks to the California Water Environmental Association (CWEA) for a $1,000 grant to help fund the water testing program in 2018 but we need more help. Click Here for info. Chapter History: Back in 1994, Ventura County was one of the first chapters to start a BWTF water quality testing program. 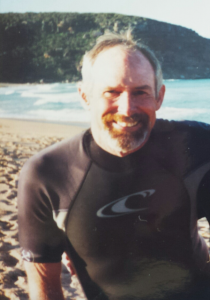 The Chapter successfully raised awareness of local water quality concerns, which spurred Ventura into becoming one of the first counties in California to establish a recreational water quality monitoring program in 1998. 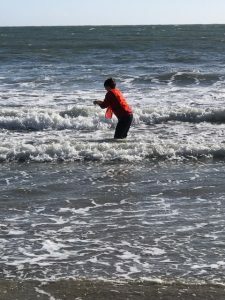 A year later, California launched a statewide beach program that provided water quality monitoring at all heavily used beaches during summer months. With the passage of the BEACH Act at the federal level in 2000 and even more monitoring coverage of state beaches, the chapter decided to stop their BWTF water testing program, and instead directed interested volunteers to participate in the Ventura River Stream Team water quality program run by the Santa Barbara Channelkeeper. Learn more about the revolution of the Ventura County Chapter’s BWTF program here.